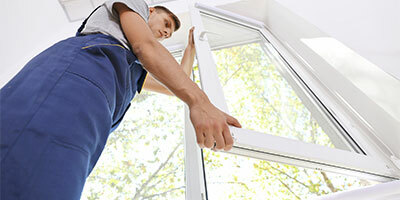 Many people are choosing to update or replace their existing windows with uPVC counterparts. Whether you are looking to save money, modernise the appearance of your home or increase your security, there are many good reasons to choose uPVC windows over alternative and traditional window choices. 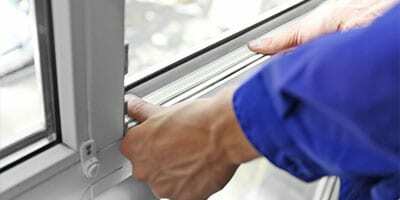 If you are considering replacing your existing windows and are unsure if uPVC is the right choice for you we have prepared the following guide which features some useful information to help you make a decision. uPVC windows can help to cut down your costs and are also kind to our environment in several different respects; this even begins before their installation at the construction stage. The processes used to create this kind of windows are strictly regulated by UK legislation to ensure there is minimal disruption to the environment. Once installed uPVC windows require little to no maintenance depending on the model and specification that you choose. Other alternative materials such as timber framed windows will need repainting or treating with varnish periodically to maintain their durability and appearance which requires the use of chemical agents which are potentially damaging to the environment to manufacture and use. As uPVC windows are also much more energy efficient compared to other window choices, you can also cut down on power consumption. During the winter months, your home will stay warmer due to the thicker glazing which means you can use your central heating less which saves you money and helps to preserve fuel reserves. Due to the way uPVC windows are constructed they can be designed to your exact requirements and dimensions to fit any size of frame. This makes them a versatile choice for any style of property or setting. Whether it is for home or business use, different aesthetics and durability of glazing and frames are available to provide the right look and functionality. When you choose uPVC, there are a large number of coloured options and finishes available to choose. The traditional white sills and frames that many people want for homes are great and can brighten up the exterior of a property, but this is not the only finish available. From timber effects and different colours and finishes that create the impression of texture, there is a variety of looks to choose from. There is also a large range of different styles available. Whether the property you are seeking to install uPVC windows in is sleek, modern and minimalist or classically designed there is a range of styling options to choose. On first appearance, uPVC windows may look very similar compared to their traditional counterparts, but the reality is that their composition and construction differs from traditional glazed windows substantially. uPVC windows are created from molten pieces of PVC which are then formed into the correct dimensions and shape required for your window frame. Additional reinforced sections made from aluminium or steel can be added to the uPVC to provide extra strength and durability. Stabilising solutions and additives are also used to treat the windows to improve their heat resistance. Different compounds of elements are used for additives depending on the application and use of the window and the properties you require from them. This unique design process allows windows to be created that are the exact size and measurements required that are also robust, hardwearing and suitable for different uses and applications.